Friday, April 20, 2012 – Kohl School students from John Niemi’s K/1 class and Desiree Forsberg’s 4, 5,and 6 class along with Dr. Dirt, aka Dale Sanders, walked to the Calaveras River to engage in scientific studies of the fauna and flora found on the north side of the river, an annual event. The focus of their studies quickly changed upon arrival at the levee where a sign had been posted that morning warning of contaminated river water(see photo). What event had occurred to cause this warning to be posted? The morning newspaper, The Record, had reported that a 3 alarm fire, which required 12 fire vehicles, had destroyed a nearby strip mall which housed a nail shop, a Laundromat and a water depot early Thursday morning. Water poured on the flames by the firemen, became highly toxic, washed directly to the storm drain on the street. 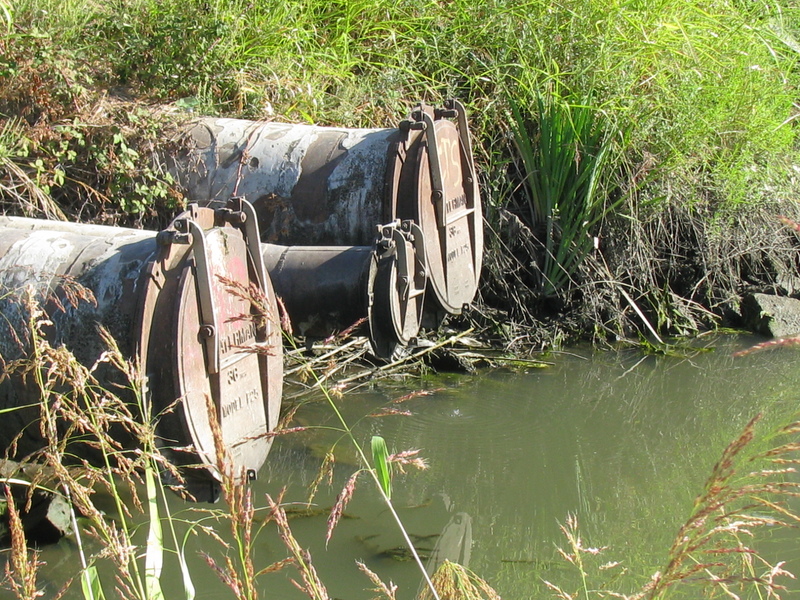 The pipes direct the waste water to the pumping station near Kohl School on Brookside Road, from there it was pumped to the Calaveras river. The pumps turn on automatically when water, generally from storms, pours in. Workmen at the pumping station indicated the sludge water had caused the pumps to malfunction. They were rerouting the waste water through hoses to the sewer pipes where the destiny of the polluted water is to the waste water treatment plant before final release, now cleaned, into the river.